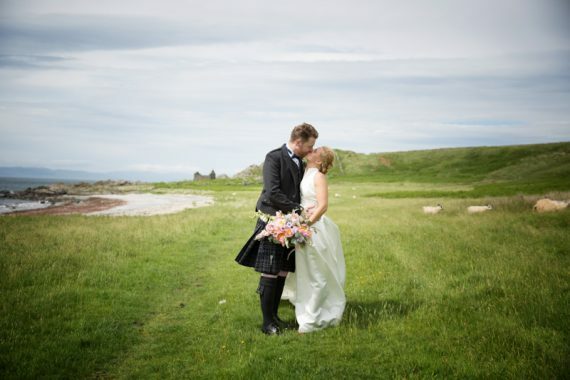 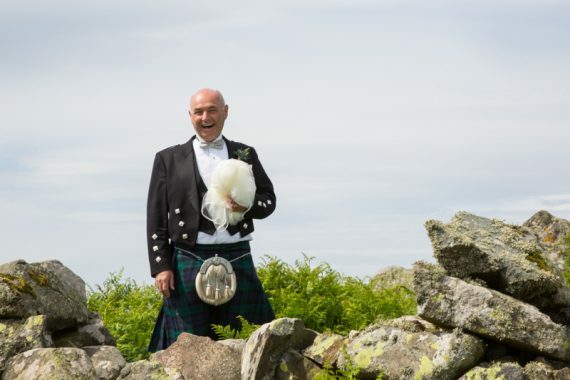 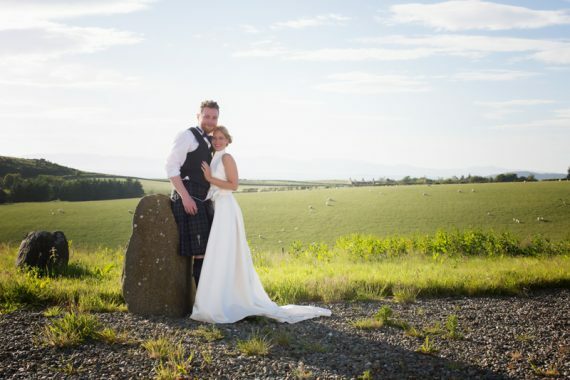 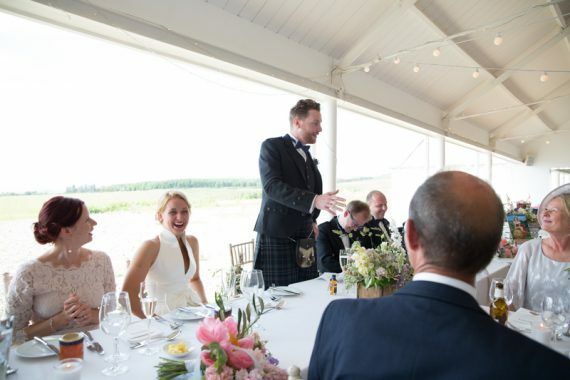 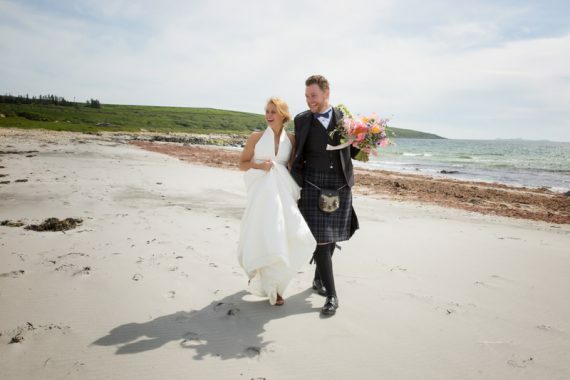 Nici and Simon held their Scottish destination wedding at the Crear wedding venue on the west coast of Scotland. I know I am biased, being Scottish, but Crear is the most beautiful wedding location I have ever photographed. 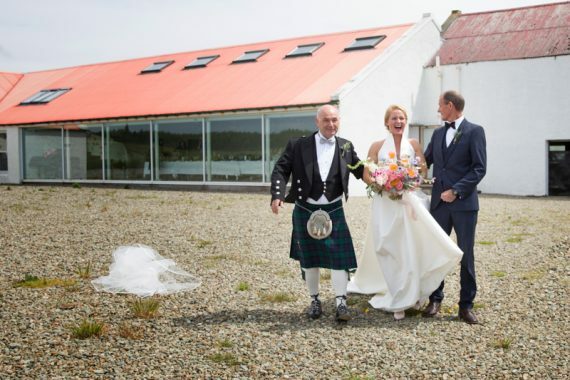 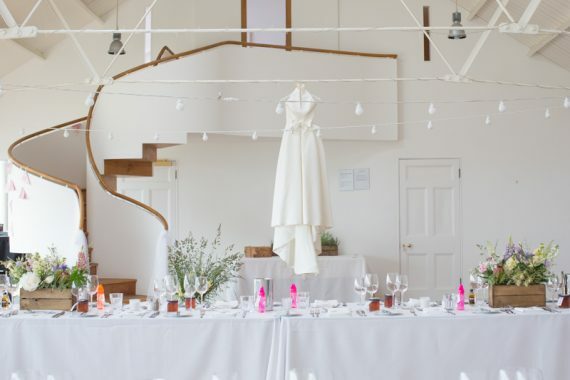 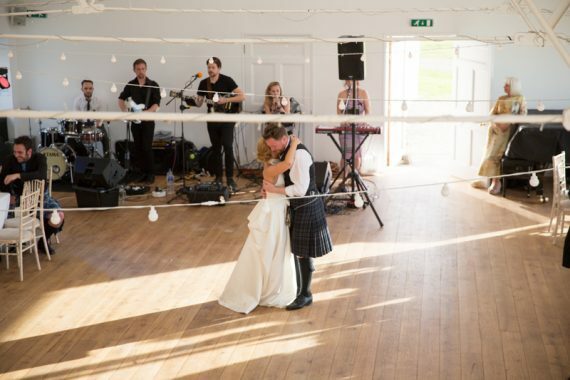 Originally a farm cottage and later converted into a studio for musicians and artists, with breathtaking views towards the island of Jura, it is unsurprising that this venue is featured in Conde Nast Hot 100 Wedding Venues in the UK. 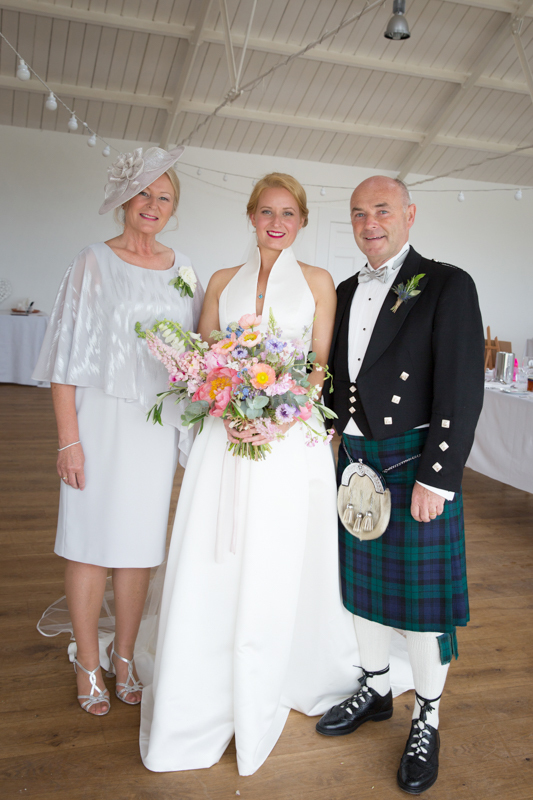 Nici is the daughter of my great friend Carole, and I was very excited to be asked to be part of their wedding celebrations as well as being their photographer for the day. 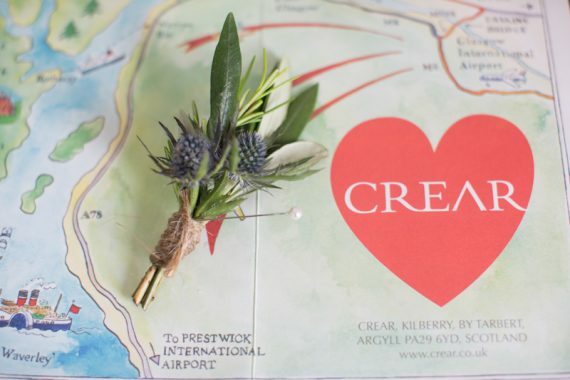 Crear is situated near Tarbert, a two and a half hour scenic drive from Glasgow. 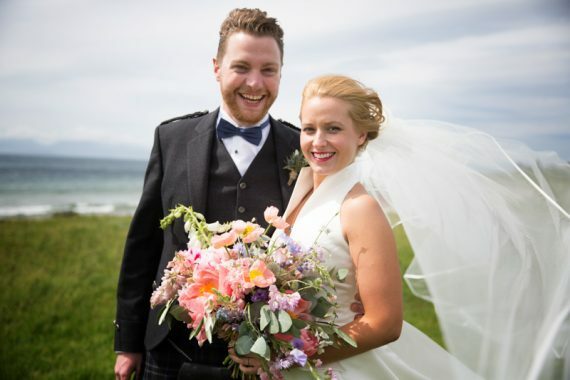 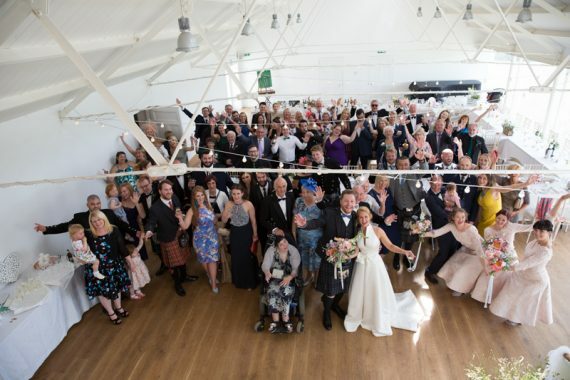 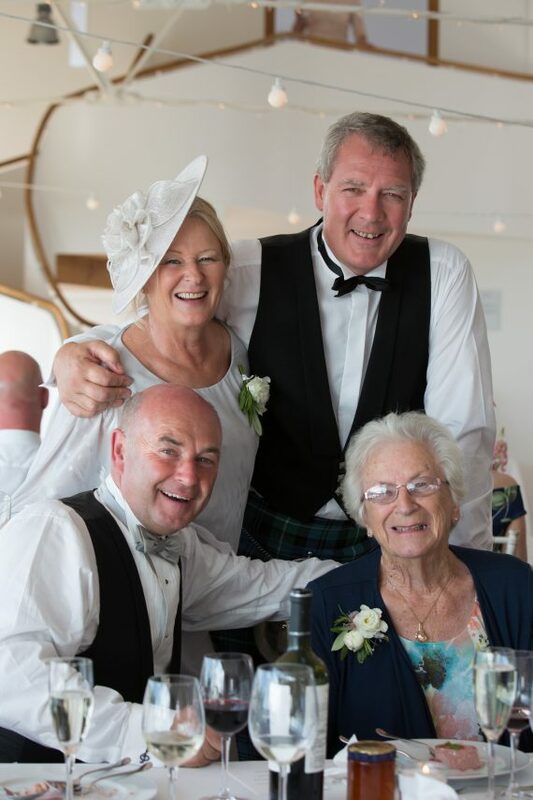 Most of the wedding guests were staying at the beachfront Port Ban Caravan park a mile from Crear or in nearby cottages. 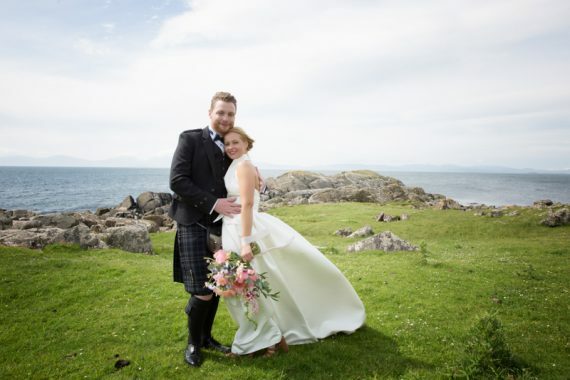 On the morning of the wedding, I joined Nici and her family at Crear House where they had stayed the night before. 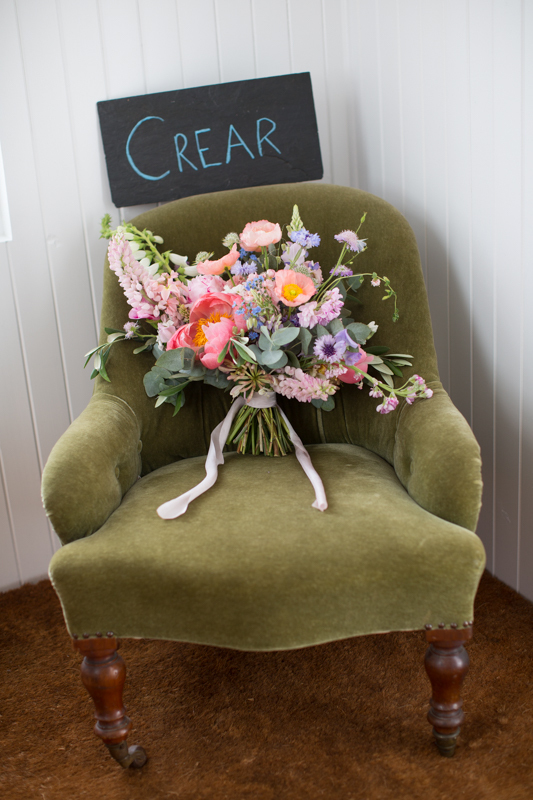 This is a lovely part of the day for a photographer and as well as taking candid shots of the activity, I had lots of amazing flowers and creative details to capture. 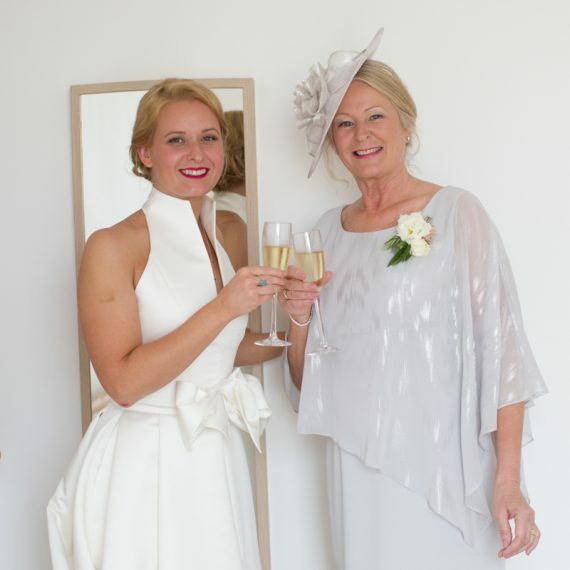 Local hairdresser, Louise from Salon 66 had a busy morning working her magic on the girls’ hair. 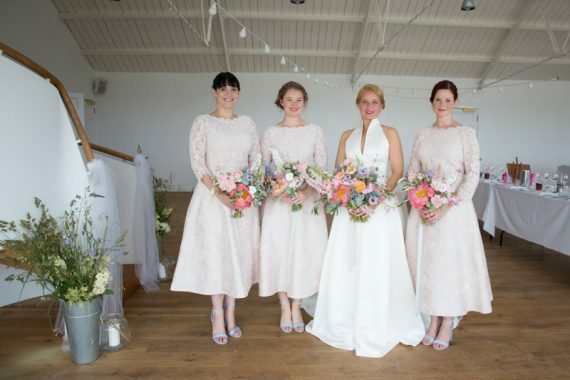 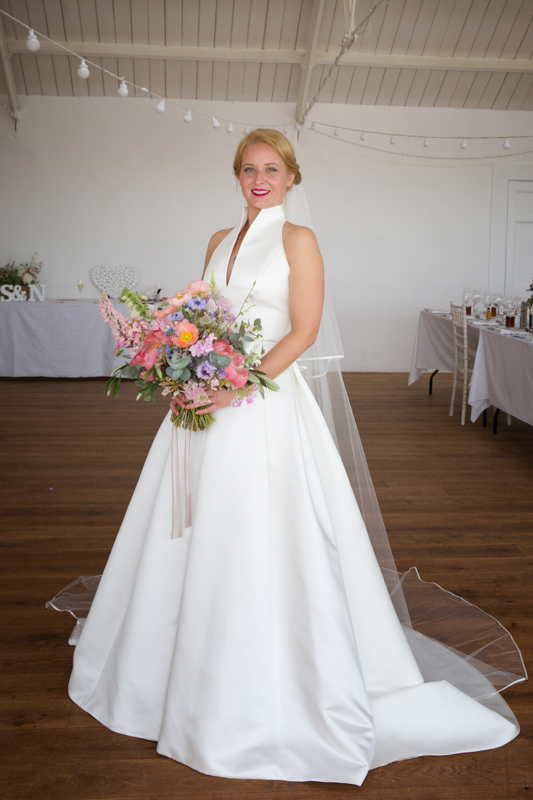 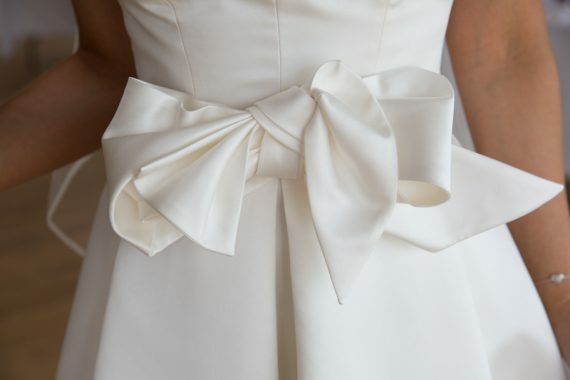 Nici had chosen a Jesus Piero wedding gown from Eleganza Spousa bridal boutique in Glasgow, and looked so elegant and beautiful. 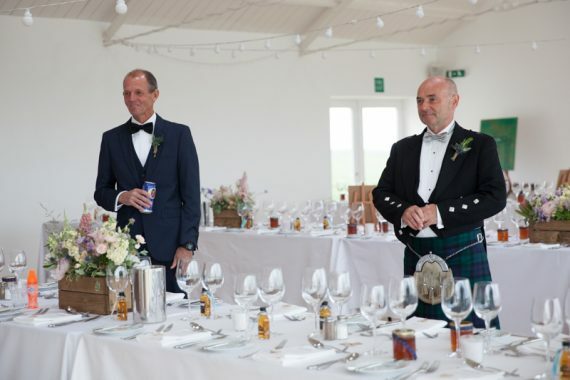 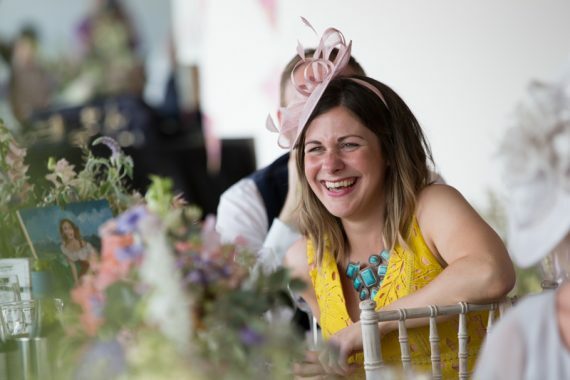 The rustic flowers were from Jack Fleuriste, a talented and creative florist based in Edinburgh with Nici paying tribute to her South African heritage with portea flowers incorporated into the table displays. 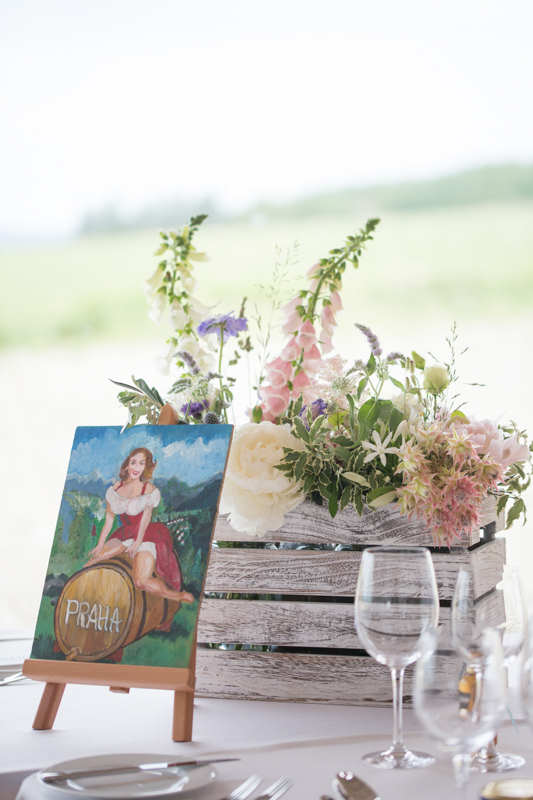 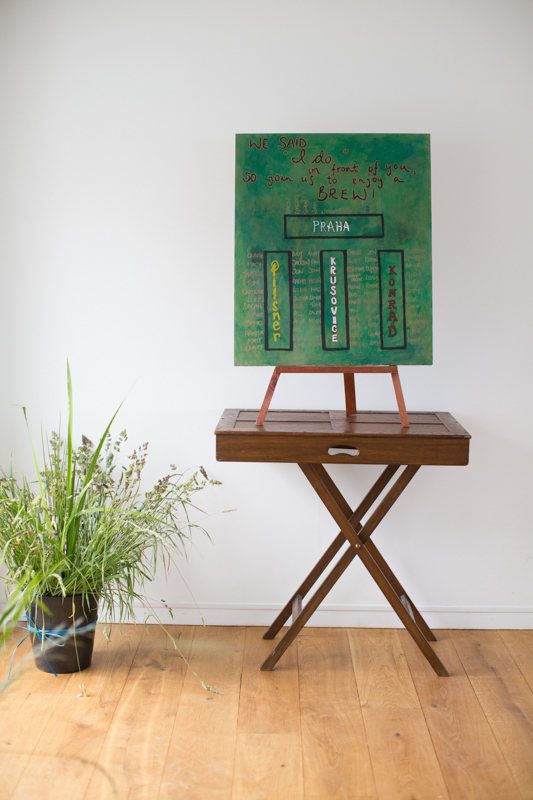 Her creative friends also made the artistic table plan and table name plaques. 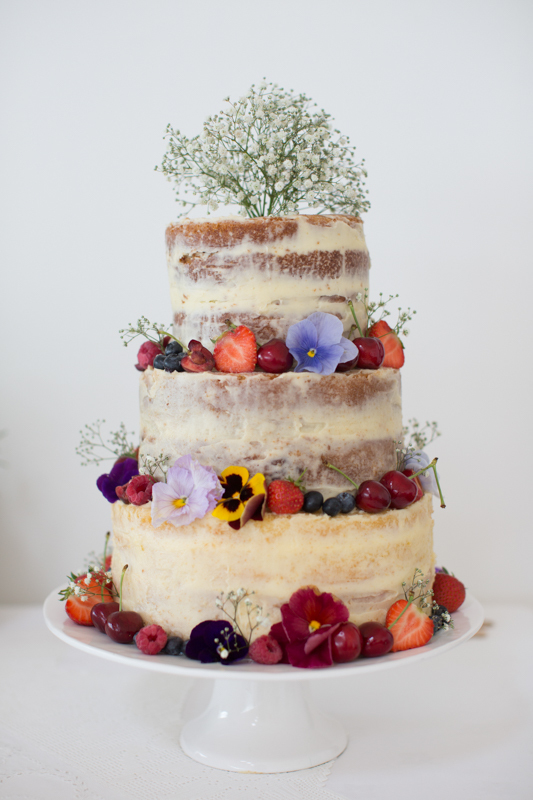 The beautiful (and extremely tasty) naked cake was from Gumblossom cakes in Stonehaven. 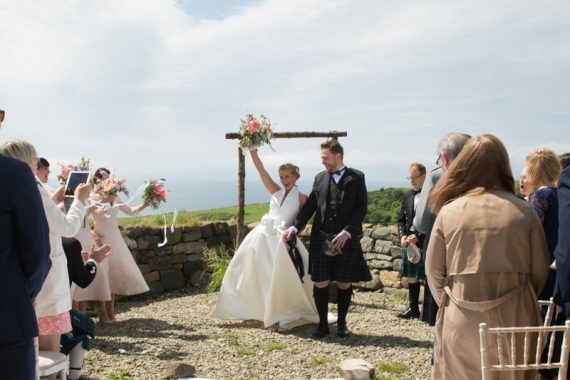 The outdoor humanist ceremony was looking in doubt in the morning, but just before the ceremony the sun came out. 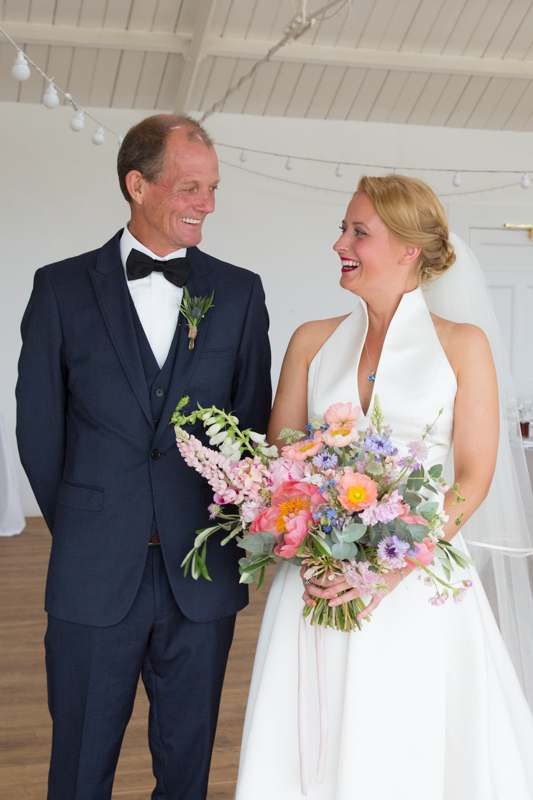 It was very windy and as Nici was walking towards the aisle with her father and step father, her veil blew off and caused much hilarity. 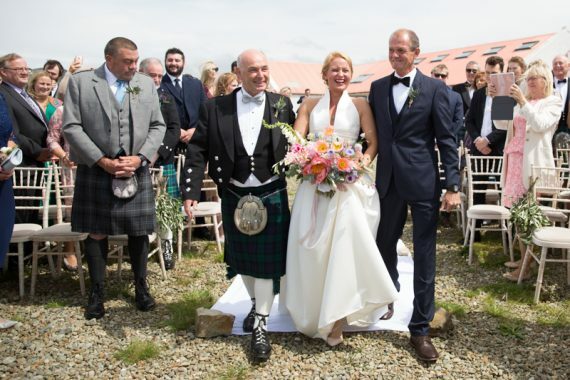 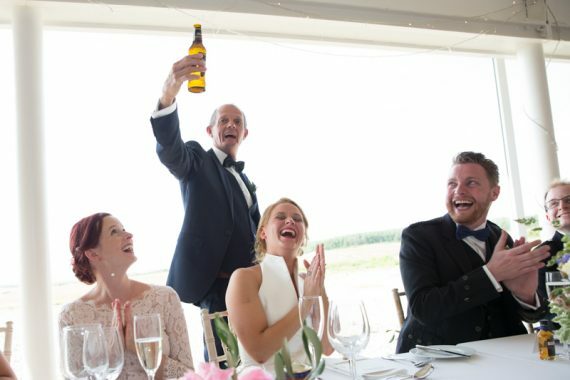 It was a beautiful, relaxed and happy ceremony which set the tone for the remainder of the day. 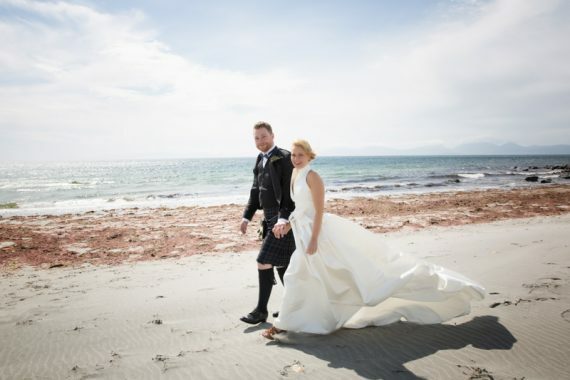 We were lucky to head to the beach for some Bride and Groom shots, despite the wind the sun was still shining and we had lots of laughter walking along the beach, attempting to try some veil shots in the high wind. 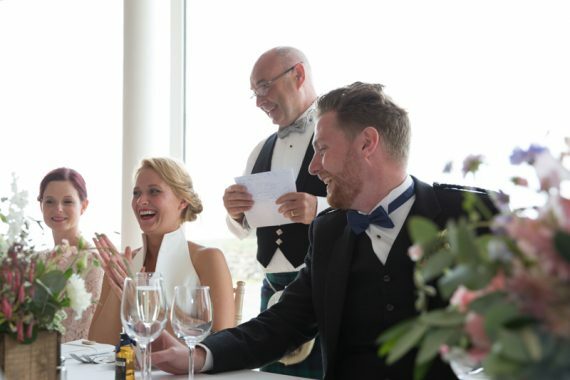 The party continued and I put my camera down after the meal to join the fun. 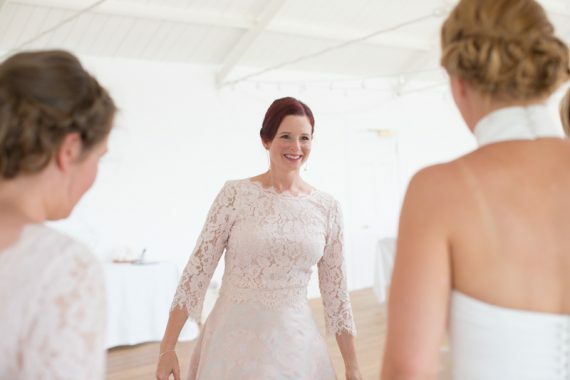 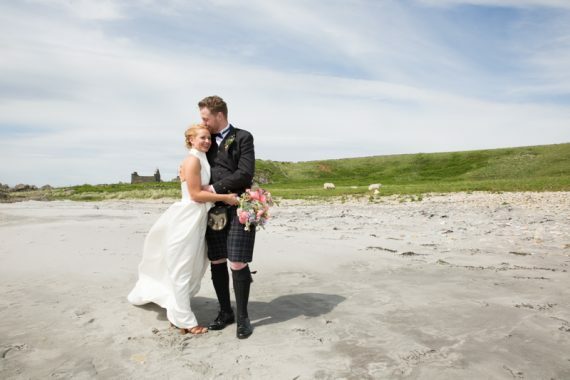 Crear is a special wedding venue and I would love to return. 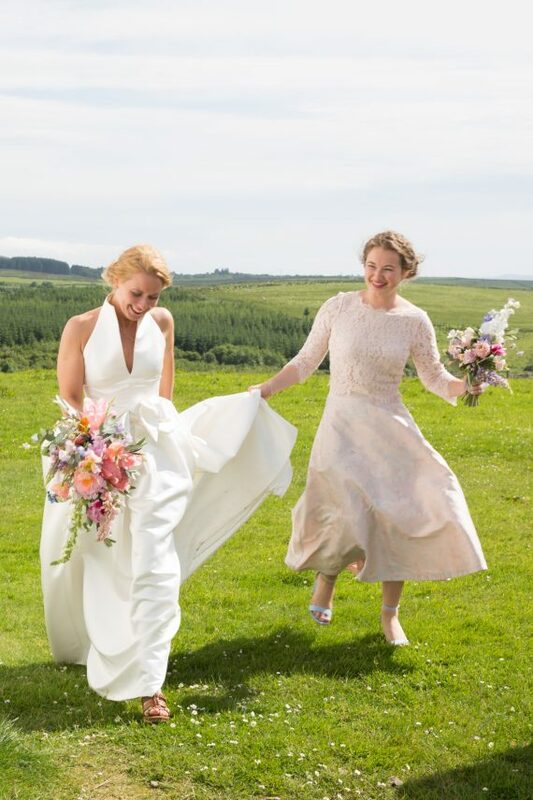 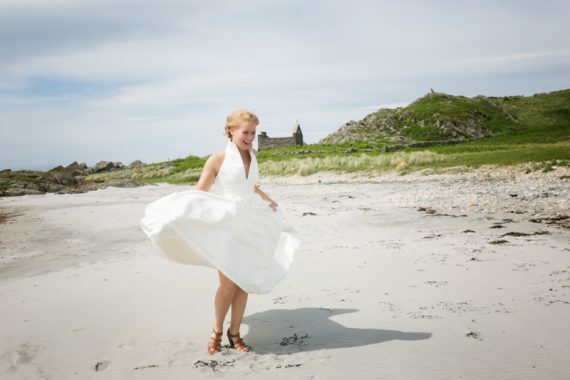 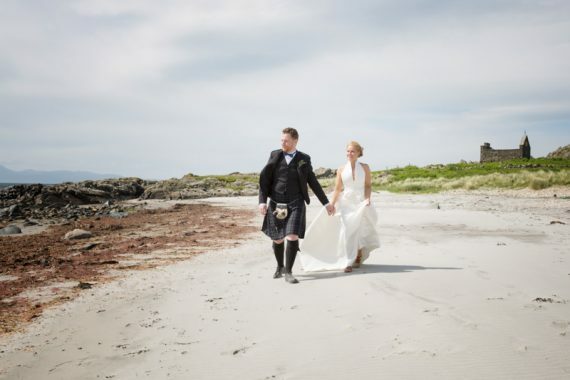 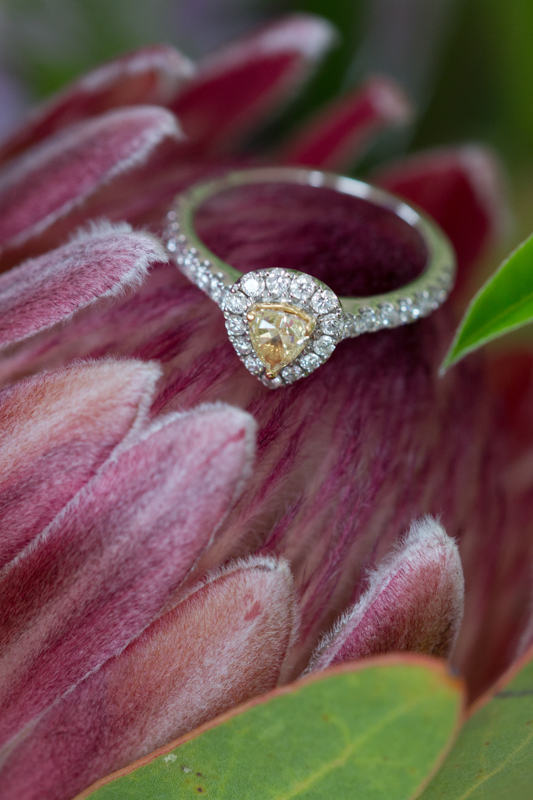 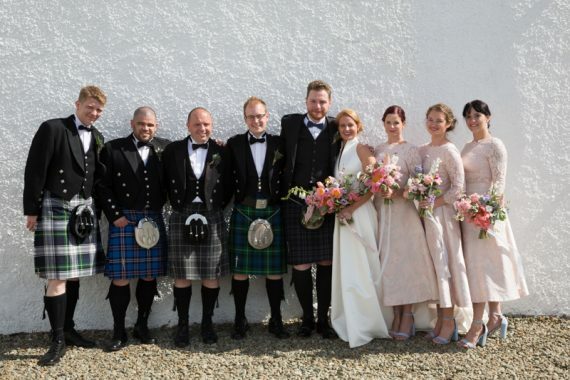 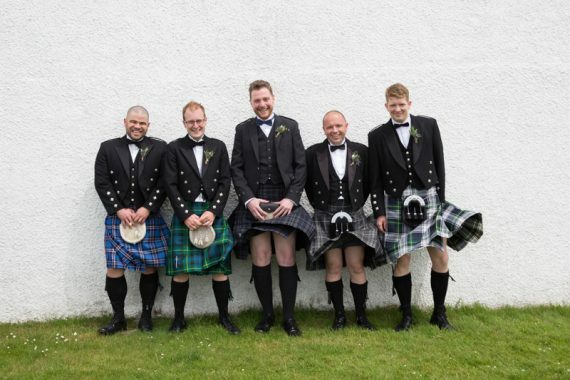 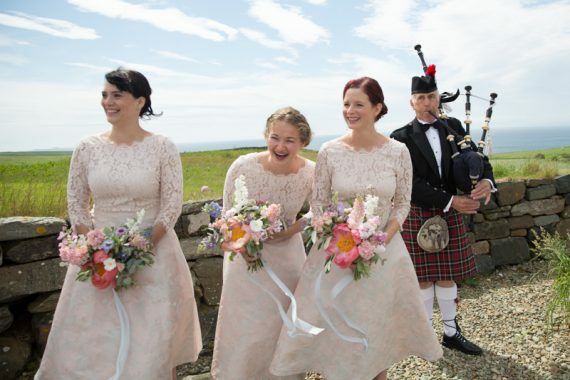 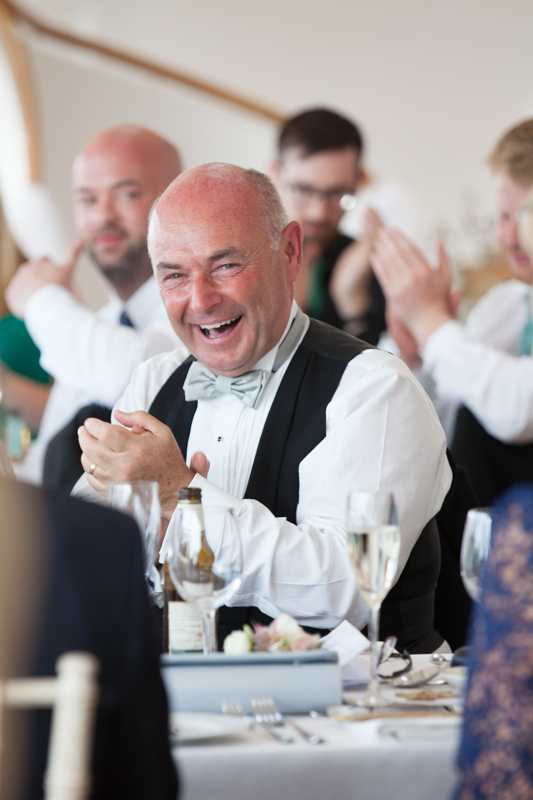 If you are considering a Scottish destination wedding at Crear, please get in touch.